Black Friday sales are here! 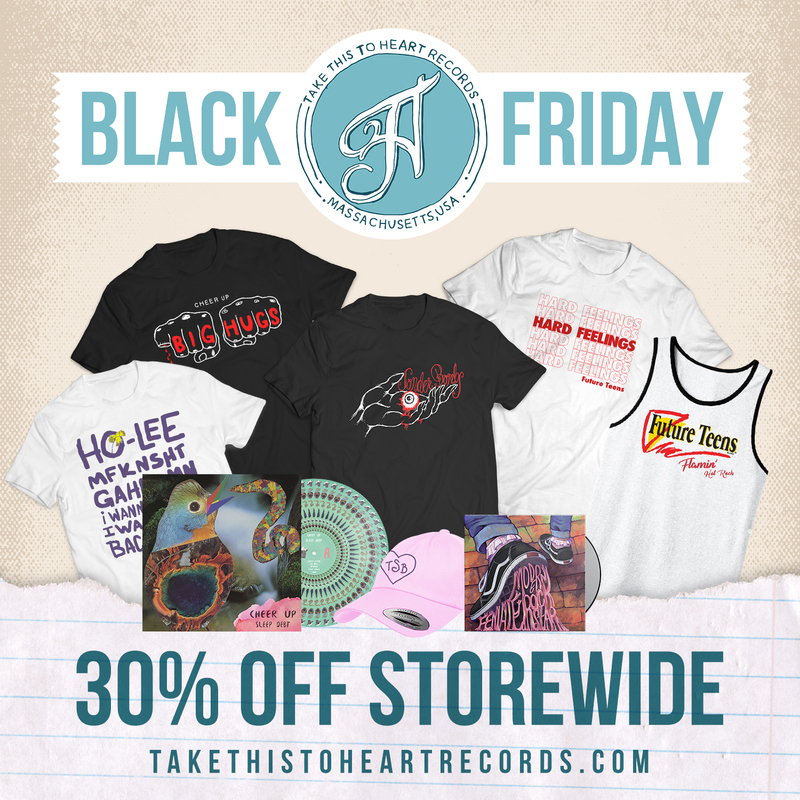 30% off everything plus special deals! Wow! We have a ton of new releases planned for next year and as always have a big week of Black Friday sales! We even have Barely Civil - "We Can Live Here Forever" on vinyl now! Help us out for 2019 by saving in 2018! Hodera - "Besides" is out now! Whoa yea! Today we are stoked to have Hodera's new EP "Besides" out now everywhere. Take a listen below and grab the albumHERE. New Hodera EP out Nov. 16th! Listen to two songs now! We are excited to announce the new EP from Hodera entitled "Besides" will be out Nov. 16th. You can listen to "For The Best" and "Hey Ana" right now grab pre-order bundles at the link below. Our 2018 FREE Sampler is here now! Check out 10 tracks of all the brand new stuff we put out this year! Featuring, Jetty Bones, Ness Lake, Super American, Hodera, Rat Kid Cool, The Sonder Bombs, ManDancing, City Mouth, Barely Civil and Cheer Up!